Description: The Bergamot tree can grow up to four meters high, with star-shaped flowers, and smooth leaves, bearing citrus fruit resembling a cross between an orange and a grapefruit but in a pear-shape. The fruit ripens from green to yellow. Color: Light yellowish green to yellowish brown liquid. Aromatic Scent: The aroma is basically citrus, yet fruity and sweet with a warm spicy floral quality, and is reminiscent of Neroli and Lavender Oils. Blends well with: Black Pepper, Clary Sage, Cypress, Frankincense, Geranium, Jasmine, Mandarin, Nutmeg, Orange, Rosemary, Sandalwood, Vetiver. and Ylang-ylang. Common Uses: Bergamot is used in many skin care creams and lotions because of its refreshing nature. It is ideally suited to help calm inflamed skin, and is an ingredient in some creams for eczema and psoriasis. Its chemical makeup has antiseptic properties which help ward off infection and aid recovery. It is also a favourite oil of aromatherapists in treating depression. Cautions: Bergamot Essential Oil has phototoxic properties and exposure to the sun must be avoided after use. It may also interfere with the action of certain prescription drugs. 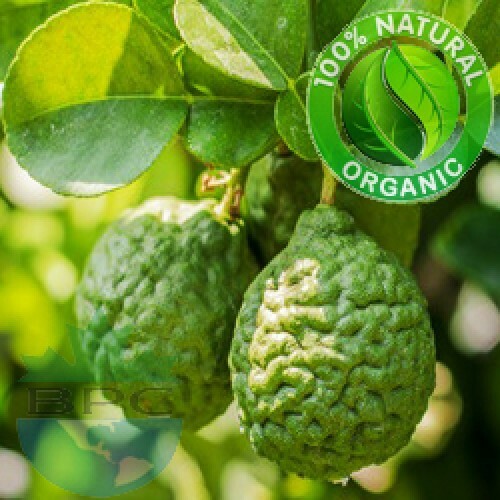 Organic Bergamot Essential Oil is used in many skin care creams and lotions because of its refreshing nature. It is ideally suited to help calm inflamed skin, and is an ingredient in some creams for eczema and psoriasis. Its chemical makeup has antiseptic properties which help ward off infection and aid recovery. It is also a favourite oil of aromatherapists in treating depression.